NYC, 05/09/2019, 12:00PM. 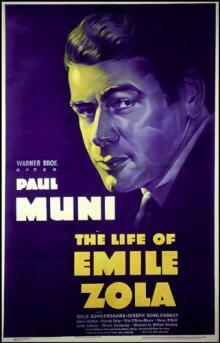 The Life of Emile Zola (1937): Three Time Oscar Winning Biographical Movie On French Writer. 116 min. Director: William Dieterle. In 2000, The Life of Emile Zola was selected for preservation in the United States National Film Registry by the Library of Congress as being "culturally, historically, or aesthetically significant". The movie won three Academy Awards for Best Picture; Best Supporting Actor - Joseph Schildkraut; Best Screenplay.